Boom! That’s me on left - Mark - and my husband Christian. We are on the road of surrogate dads! This Oscar g3 is reserved! 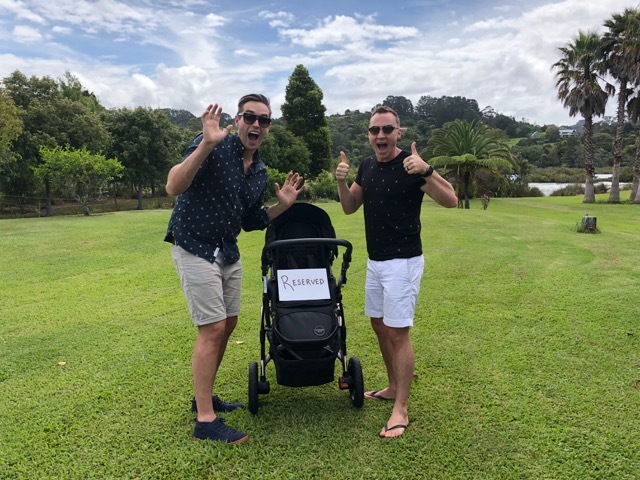 Obviously we’re a wee bit biased when it comes to choosing a stroller, and with so many of you ranting and raving about how much you love our stuff, we had to go for the Oscar g3! We’d love you to join us on our journey in becoming parents - from choosing the nursery, creating a wardrobe, buying other parenting products and paraphernalia! Plus of course, what it means to be a surrogate and how it works for us and our baby-Mumma Aleisha. We’ll be sharing it all with you - and welcome any advice you have for us… Let’s go kiddo!